When Haris Ahmed established Chicago-based Pragmatium Consulting, Inc., he had but one goal in mind: to help organizations improve their performance and productivity, and ultimately, to increase the company’s profitability. If you’ve visited this blog before, you may have noticed that most of the topics here discuss changes in the workplace, in various degrees; and for the most part, leaders, their organizations, and their employees are the focal point of the topics here. This is because for Haris Ahmed and his Chicago team of management consultants and change experts, the success or failure of the organization largely depends on two key components: the organization’s leader and its members. When one of these components isn’t performing up to par, you can be certain that it will create a ripple effect that could affect the entire organization down the line. In a previous post, Haris Ahmed talked about how more and more people are becoming more socially aware and they often choose to work for, and with, a socially responsible organization. In this post, he shares a few tips on how to become a socially responsible organization. Bear in mind that these tips are only meant to serve as a guide or a starting point. You will have to perform careful analysis and evaluation on how best to adopt these steps and apply them into your organizational model as you see fit. 1. Source your supplies and materials from manufacturers and suppliers that employ sustainable production processes. Restaurants these days have adopted the farm-to-table concept, where they source their ingredients and fresh produce from local farmers with sustainable farming practices and humane animal treatment. Factories have also taken the initiative to use renewable energy and adopt processes that reduce their contribution to air pollution. Coffee companies like Starbucks have also started sourcing their coffee beans from farmers protected by fair trade regulations. While you may not be able to get all your supplies and raw materials from such producers (depending on what you need), you can check to see which ones you can get from suppliers and manufacturers like those mentioned above. Small steps go a long way in helping the environment. 2. Donate a portion of your profits to a charity. This is one of the most widely used avenues for promoting social responsibility in the workplace. You can market a push product every month (quarterly or twice a year, it all depends on you) and advertise it in a way that will encourage your consumers to purchase it—by promoting it as a tie-up with a charitable institution or cause. Here, you are actually hitting two birds with one stone. 3. Buy one, give one to charity. A good example of this initiative is shoe company TOMS. For every pair of shoes that consumers purchase, they donate a pair to children in Africa and South America. These examples show that companies not only encourage social responsibility in their organizations, but also in their consumers. There are others steps that you can take to make your organization more socially responsible. The above are simply suggestions that you could consider. Do you have comments on this post? Please feel free to leave Haris Ahmed of Chicago a message below. For Haris Ahmed, founder of Chicago management consulting firm Pragmatium Consulting, Inc., a company’s greatest and most valuable asset is its people. And whatever the company’s ranking in its industry is, it’s the organization’s leader and his or her team that put it there. So if your company is deemed as a leading authority in your industry, you have your entire organization to thank for it. To lead an organization, regardless of size, one must understand that everyone should be on the same page. Everyone’s goals must be aligned, and everyone should be working towards the same vision. When you lose sight of the company’s mission and vision, everything is affected—operations and processes could be hampered and everything could go awry. 1. Planning and execution. A leader must not only know how to develop a solid plan for profit and performance strategies but must also know how to perfectly execute each plan. These two should always go hand-in-hand. For this combined factor, the leader must also understand that proper execution means having the focus and determination to execute the plan accordingly, and that this could sometimes mean forgoing other opportunities to allow the plan to materialize and deliver results. In other words, you may have to say no to some things so you can say yes to the things that matter. 2. Acknowledging employees’ talents and contributions. One of the most ‘hated’ leaders in any organization is one who takes all the credit, and leaves everyone behind on his or her way to the top. A leader who doesn’t acknowledge the team’s contributions, and neglects to utilize the employee’s talents and strengths, may soon find that doing so will encourage the employee to go where he or she is appreciated. In other words, the employee will not think twice about leaving since he or she doesn’t know if their contributions are even valuable to the organization—or if their presence or absence will even make a difference. There’s nothing worse than feeling you are undervalued and unappreciated. 3. Knowing the difference between motivation and blindly following. It’s one thing to keep pushing your team to perform to their highest potential, and another to keep pushing them because you say so or because that’s what they get paid for. When a team feels motivated, they almost always deliver exceptional performance. And the tricky part is balancing all of these three factors in order to propel the organization towards the right direction. If you wish to get in touch with Haris Ahmed or his Chicago-based management consulting firm Pragmatium Consulting, Inc., please feel free to leave him a message below. Questions, comments, or suggestions are more than welcome! You can rest assured he will get back to you promptly. Kindly stay tuned to this page to read the latest updates from Haris Ahmed. In the business world, one of the things that Haris Ahmed (Chicago)-based management consulting firm Pragmatium Consulting, Inc., finds most unfortunate is that companies consider consulting services when it’s too late; often turning to management and business consultants only as a last-ditch effort to save the company from going bankrupt. And sometimes, not even the best management consultants can save the company because the issues are far beyond repair—or if they are, it would cost more than what the company is worth. Cutting losses would be the best option in such cases. This post looks at some of the most common reasons why startups fail; and while there may be several factors that are at the root of these common causes, the underlying, and arguably most relevant factor, is leadership. Haris Ahmed, Chicago management consultant, believes that everything starts with leadership; now whether this will take the business to profit or loss all depends on the leader and his leadership style. According to an analysis conducted by CB Insights, the top 3 reasons why startups fail are: there isn’t a market for the product, the company had problems with cash flow, and the company wasn’t backed by a solid and competent team. 1. There is no market for the product. To be more specific, the startup’s target audience doesn’t need the product that they are offering. The concept may have seemed promising at first, and on paper, everything may have looked as if it will take off in a matter of weeks. But when the product hit the market, no one was buying. If no one is buying, you won’t have a business for long. 2. Problems with cash flow. Poor financial management, lack of financial backers (i.e. investors), lack of foresight and anticipation, or all of these, could eventually leave the company’s coffers dry. And when there is little money to run operations or pay for unforeseen expenditures, this could only go one of two ways: the startup falls into debt because of heavy borrowing from loan sharks (easy to get, hard to pay) or it could shut down operations for good—in most cases, both. 3. No competent team to help the startup achieve its goals. One of the most common issues that Haris Ahmed (Chicago) and his Chicago management consultancy team see in organizations that have sought their help is underperforming personnel. It could be because the leader isn’t good at motivating the team, some employees were hired based on recommendations alone, there was lack of training or none at all, and a lot of other reasons. The bottom line is, if the company doesn’t have a team it can rely on, a team that they don’t have to monitor all the time, a team they know will do a great job, and a team that knows the company’s goals and takes positive action to help the organization achieve it, then you can expect to encounter issues down the line. All businesses need an exceptional team to back it up, and it’s more important for a startup because your future is at stake here. Everything and everyone involved in your startup is a key player, and each of these players should be handpicked by you, the leader/business owner. 3. No competent team to help the startup achieve its goals. One of the most common issues that Haris Ahmed (Chicago) and his management consultancy team see in organizations that have sought their help is underperforming personnel. It could be because the leader isn’t good at motivating the team, some employees were hired based on recommendations alone, there was lack of training or none at all, and a lot of other reasons. The bottom line is, if the company doesn’t have a team it can rely on, a team that they don’t have to monitor all the time, a team they know will do a great job, and a team that knows the company’s goals and takes positive action to help the organization achieve it, then you can expect to encounter issues down the line. All businesses need an exceptional team to back it up, and it’s more important for a startup because your future is at stake here. Everything and everyone involved in your startup is a key player, and each of these players should be handpicked by you, the leader/business owner. Haris Ahmed (Chicago) management consulting firm Pragmatium Consulting Group Inc. has personally coached over 100 leaders from public and private corporations alike, not-for-profits, and the federal sector. There’s no doubt that honing one’s public speaking skills can bring tremendous personal and professional benefits. But should you join a respectable organization like Toastmasters or hire a dedicated public speaking coach to train you? To begin with, both options are viable means to improve your communication skills. Toastmasters is known for grooming some of the most confident and persuasive public speakers who have become leaders. They have put up numerous chapters all over the country so chances are, you can find a local Toastmasters club not too far away from your home or office. They also take pride in building a supportive atmosphere where you can learn and grow from the feedback given to you by other members who happen to be on the same boat as you are. All in all, Toastmasters remains the incubator of choice of many business leaders, executives, coaches, and other professionals who want to polish their communication skills. What about public speaking coaches? With a coach or mentor, you can get one-on-one training and tweak your sessions according to your goals. For instance, if you’re pitching a business idea or giving a speech for a loved one’s wedding, you can ask to be guided on that specific task and still have a supportive environment with constructive feedback. Public speaking coaches are great when you want to hone your skills faster because it’s their job to ensure you’re making progress. This doesn’t mean, however, that you’ll be left alone in Toastmasters; it’s just that you’ll have the luxury to delve deeper into your communication issues and work on fixing them when you collaborate with a public speaking coach. For instance, he/she will evaluate your tone, pacing, word choice, and gestures, to name a few. If you think you’ll thrive better alone, or are more comfortable with the idea of practicing in front of a few before you face bigger crowds, then working with a public speaking coach may turn out to be a better experience. A short engagement may also work here as well. The only caveat to public speaking coaches is that you may have to spend time finding one that you’d jive well with. This is because public speaking coaches vary in their styles and strategies. You want to find one who will work with what you already have and make them better. A coach that may dictate too much of this and that can make you appear forced and contrived to the audience. Safe to say, this lack of authenticity or rigidness can backfire on you and your speech. In this sense, Toastmasters has one up over public speaking coaches. Their program has been tried and tested on thousands of individuals and they have an established pathway to your transformation as a distinguished public speaker. Stay tuned to this page to read more from Haris Ahmed (Chicago) management consulting firm Pragmatium Consulting Group Inc.
Haris Ahmed Chicago Consultant Asks Should You Join Toastmasters or Hire A Public Speaking Coach? 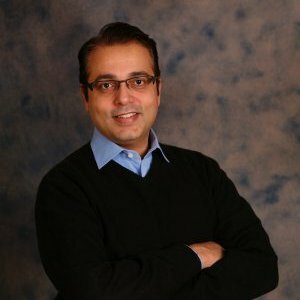 Haris Ahmed (Chicago) management consulting firm Pragmatium Consulting Group Inc. is an experienced facilitator and has led numerous leadership workshops and team-building sessions. Read his blog below about developing one’s stage presence. Public speaking is performance – remember this and you’ll never have to worry about whether you’re good enough. Fear of public speaking is far more common than you think. Unfortunately, most of the time, people bring their insecurities up with them on the stage, which is one of the biggest mistakes you can make. However, by truly understanding that public speaking is a performance, you can disassociate from those insecurities and perceived weaknesses running amok in your mind and concentrate on the task at hand. 1. Be confident – Remember those insecurities you unwittingly bring up on the stage? It’s normal to have insecurities, but you’re putting on a performance here, so the next few minutes will now be less about you, and more about the audience. This means that you should radiate confidence. Those insecurities are not you; they do not define you nor do they guarantee your failure. As mentioned, public speaking is a common fear. As such, you should take pride in the fact that you’re brave enough to go up on stage and speak in front of hundreds of people. Few have the courage to do so and this thought should help boost your confidence. 2. Own your message – The point of using note cards should be made clear; these keep you on track when you forget what to say next, ensuring your speech stays cohesive. Note cards should not be read from. In fact, doing so might give off the impression that the speech you’re presenting is not your own. That said, you can effectively own your message by practicing and inserting your own stories and experiences in it. 3. Dress the part – When you wear clothes that make you look chic or dapper, you give yourself a big confidence boost. It’s like putting on new skin that makes it easier for you to act your role. For your next big speech, try wearing the clothes you’ll have on during your presentation whenever you practice. This may help put those nerves at ease faster as you would have gone through the motions of your speech several times before already. Haris Ahmed (Chicago) management consulting firm Pragmatium Consulting Group Inc. has personally coached over a hundred business leaders, and is an experienced facilitator, having led numerous team-building sessions for public organizations and private corporations alike. Engagement – Believe it or not, public speaking is less about the speaker in front or at the podium, and more about the audience. Many public speakers today still turn to engagement to help ensure that their audience is listening and able to keep up with the thoughts and ideas presented to them. Engagement entails the audience’s active involvement, whether they are asking questions, or participating in games and icebreakers. Engagement doesn’t always have to be done at the beginning of a presentation as well. You may be able to catch your audience’s attention with a hook, but holding that interest throughout the duration of your talk is another matter. Therefore, when it comes to engagement, use it as often as needed to check in on your audience. Storytelling – There are many kinds of hooks, each with its own merits, but storytelling is possibly the most powerful. This is because oral storytelling is as old as human language itself, which means to say that for thousands of years, storytelling has been used by primitive cultures to communicate, entertain, and educate. As a rule of thumb, personal stories are best, as they can make the presenter seem more relatable or less intimidating. Of course, the impact on the audience will depend on the kind of story you want to share, but know that light and humorous stories can just be as effective as tragic or dramatic ones. Impact will depend on your delivery as well. If you go with the former, other factors may come into play, such as wit and comedic timing, but even if you suspect your story isn’t as engaging or compelling, as long as you tell it in a way that’s authentic, then the battle is half won. Body language – Have you ever thought about what signals your face or body could be giving away while you’re up on stage, speaking? Body language, in fact, is a powerful tool that can make an impact on your audience. Do you unwittingly raise your eyebrows too much, or make hand gestures? Think about how you space as well, whether you tend to stay still or move around to get closer to your audience. Haris Ahmed, Chicago Consultant: Who Should Be Your Company’s Spokesperson? Haris Ahmed (Chicago) management consulting firm Pragmatium Consulting Group Inc. has more than two decades of experience with change and leadership. He has taught more than 100 executives on the finer points of change management, skills development, and public relations. Before a crisis can unfold, it’s important for businesses to have designated a spokesperson. This way they can immediately respond to the situation and face the queries and complaints that come their way. The spokesperson may carry a different role from that of the PR practitioner but they may also be one and the same. There is, however, one rule of thumb when it comes to handling such reputation-defining events: the more serious the crisis is, the better it is to have a spokesperson that is high up on the corporate ladder. This doesn’t mean the CEO right away. In some cases, it could be another senior official or corporate officer. This way, the CEO may still be able to step in and address the issue, in case further action is warranted. Why is it important to choose the right spokesperson? For one, his/her status could say a lot about the crisis. Think of it this way: when terror attacks hit the country, no less than the President of the United States steps up to the podium to deliver a unifying speech. This isn’t any different from a large firm being plagued by a scandal. The CEO’s presence sends a message that they are taking the matter at hand seriously. If anyone of lesser stature were to be thrown into the spotlight, the firm runs risk of giving the impression that they are not taking the matter seriously. It’s understandable for CEOs to be uncomfortable in the spotlight. Although it would be much more advantageous for a company to have a CEO that can think on his/her toes, is articulate, and has a high degree of professionalism and emotional intelligence. One need only look at what happened to British multinational oil and gas company BP to understand this point. Back in 2010, the US saw one of the most devastating oil spills in the history of its waters, the Deepwater Horizon oil spill. BP pleaded guilty to their negligence where around 5,000 to 100,000 barrels of oil had spilled per day on the ocean floor. As much as oil leaks are part of the nature of the industry, what isn’t was the CEO’s response to the crisis. Then CEO Tony Hayward is remembered for having said, “We’re sorry for the massive disruption it’s caused to their lives. There’s no one who wants this thing over more than I do, I’d like my life back.” A PR nightmare of a response, wouldn’t you say? Naturally, Hayward’s statement was heavily met with criticism, even by the US President at the time, Barrack Obama. Hayward’s PR gaffe ended up costing him his job. He was shortly replaced by a new CEO three months later. Could this have been avoided? Certainly, once CEO’s understand the important role PR practitioners play. Haris Ahmed (Chicago), is the CEO and founder of Pragmatium Consulting Group, Inc., a consulting firm that performs public relations functions for both for-profit and non-profit organizations. Pragmatium provides creative yet grounded PR responses to all sorts of situations, resulting in sustained positive brand perception and engagement for its clients. Today, he writes about the role of public relations in managing disasters and similar crisis situations. I’m no prophet of doom, but I’d be lying if tensions over security and personal safety are not at an all-time high. Since Malaysian Airlines Flight 370 went missing over the Indian Ocean in 2014, companies and governments alike have realized the importance of proper public relations in either raising awareness of a situation or deflating it altogether. The said incident highlighted the company’s and the Malaysian government’s lack of experience in dealing with crisis situations, and PR practitioners around the world expressed dismay about the Malaysian Airlines PR team’s handling of the event. One veteran crisis expert, Robert Jensen, observed that crisis communications is all about not making a situation worse, simply because things can’t get any better. Because Malaysian Airlines was a national carrier, it was expected that they would’ve handled the situation better. However, there were reports of inaccurate information being disseminated by the combined PR teams of the airline and government to the media, with retractions coming after a few hours or days. PR Week observed that Malaysian Airlines did not engage any external PR firms in its crisis management efforts, relying instead on the Malaysian government’s communications channels. It did, however, get advice from a firm in the UK. As time went by, it became apparent that the lack of coordination between the government and the airline made a bad situation worse. Instead of having the CEO face the public, Malaysian Airlines appointed someone relatively lower in the hierarchy to deal with the PR fallout. This could have been averted if the carrier had reached out to an external PR agency right away. A PR agency with experience in crisis communications would have been mitigated, if not manage, the news of the plane as soon as it was confirmed that it had gone missing. The agency would’ve also been able to gauge the appropriate response to the situation and frame it in the context of similar events while maintaining respect for the victims and their loved ones. Jensen says that finding the plane had become secondary after a few weeks; instead, the focus should have shifted to helping the victims’ families heal and move on from the event. Plane crashes and similar disasters cannot be predicted. However, their effect on organizational and national morale and image can be mitigated with proper public relations. This fact is not lost on PR practitioners across the U.S., including Haris Ahmed. Chicago, the site of Pragmatium Consulting’s headquarters, is also the transport hub for the Midwest and has seen its share of air-related disasters. Thus, PR agencies in the area are able to respond to disasters quickly and effectively.